Direct Line: Marc Newson and the Montblanc M | A Continuous Lean. So it was natural that when Montblanc approached Marc Newson to design a pen, it made an impact. Both are defining names in their fields. Newson, of course, is the industrial designer who’s rumored to take over at Apple when Jony Ive moves on. He’s worked with everybody from Jaeger Le Coultre to Heineken, designing furniture, airplanes, backpacks–it’s not uncommon to see his work at Gagosian gallery or setting records at auction houses. Montblanc of course needs no introduction, they’ve been making pens since 1906, in their Hamburg factory (they’re German, not Swiss, despite the name). The company’s line has expanded to include finely made watches, bags and leather accessories. But the fountain pen still represents the soul of the company. Montblanc had never worked with a designer outside the company. They turned to Newson, who draws regularly, and gave him free rein. 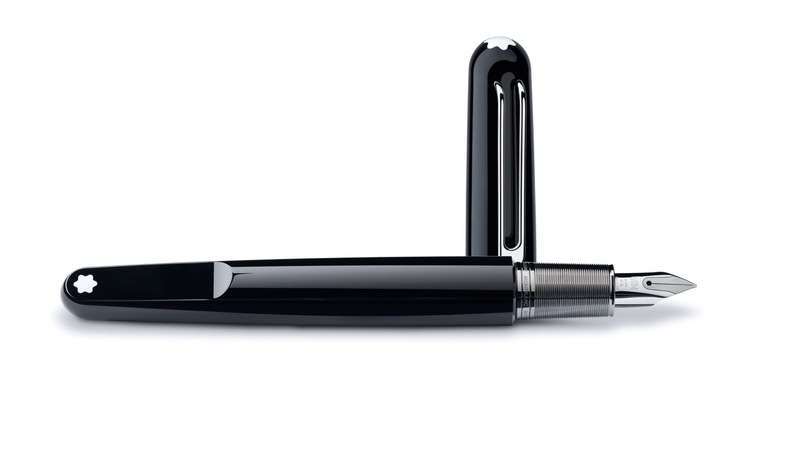 The result is the new Montblanc M. It’s singular and elegant, something you want to look at and want to use. The cap snaps shut with a satisfying click, and an internal magnet aligns it with the base of the pen. It has a perfectly measured weight and writes beautifully (even for those of us who are left-handed, and notoriously struggle with fountain pens). It looks progressive and reassuring at the same time. It feels the right object for the moment, and, like all insightful design, that moment looks like it will last a while. You will age, but the pen won’t. â€œPens are the way that I choose to connect with the world,â€ Newson says. That connection is real–you think at a different pace when you write on paper, and it takes you away from the screen. â€œI still like to do my drawings by hand,â€ Dieter Rams once said. The pen is of the moment, but when you use it you slow yourself down. Newson has instilled a sense of modernity in a classic enterprise. Ultimately, design provides a sense of clarity–in making our lives easier we better understand our needs. Design recognizes our motivations and, in a sense, what makes us human. It doesn’t happen often, but when it does the mark is lasting. Sharp pen! If you’re looking for a budget pen that shares the M’s aesthetic, somewhat, I would recommend the Pilot Metropolitan. Very affordable (~$15 including converter) and available with a variety of nibs. Compared to other pens at this price point, it has a very solid weight in the hand.